On Tuesday, the 17th anniversary of the September 11 attacks, nearly 3,000 American flags fluttered on the Campanile lawn in rememberance of those who died. “The exact number is 2,977 flags that we planted on the field [. 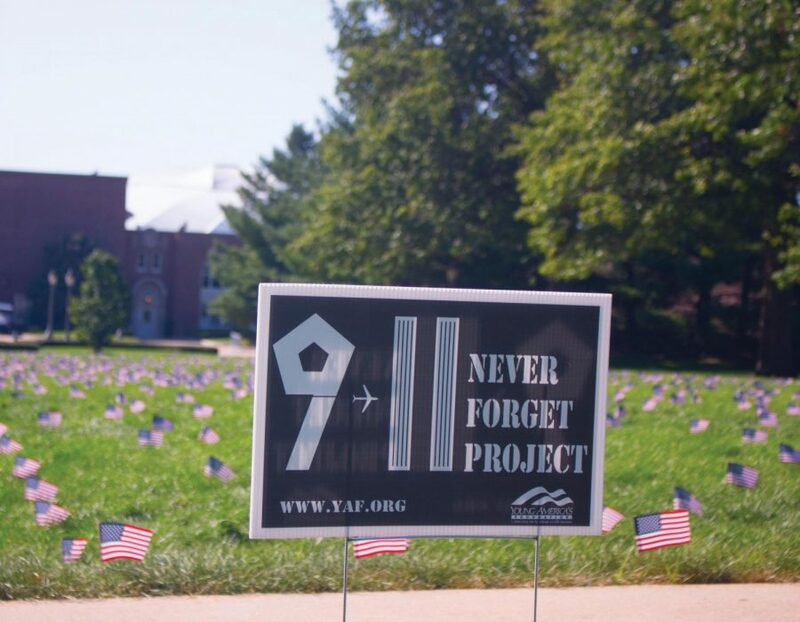 . .] to be specific for the amount of people that died in 9/11,” said Lucas Boyer, sophomore political science major and chairman of the UNI chapter of Young Americans for Freedom (YAF), which organized the Never Forget Project. UNI’s YAF chapter was founded last October. The flags displayed on Sep. 11 were sponsored by their national affiliate and was the chapter’s first major project. Boyer encouraged those interested in bringing similar projects to UNI’s campus to check out YAF.